By moving from bottle to mains fed Water Coolers we help our clients reduce their environmental impact because they don’t require lorry loads of plastic bottles to be delivered. Self-Sterilising filter supplied with Stainless Steel and John Guest fittings. Compact, stylish and economical. Attractive yet robust. Suitable for most office environments and reception areas. 3'2 litre capacity. Ideal for offices with up to 40 members of staff. With our high quality, state of the art, mains fed water coolers, we can supply you with crystal clean water at a fraction of the price of bottled water coolers. 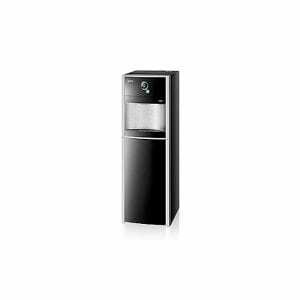 Depending on your requirements the Cleanwater WINIX range can provide chilled and ambient machines or chilled and hot, dispensing up to a maximum of 18 litres per hour of chilled water per hour. 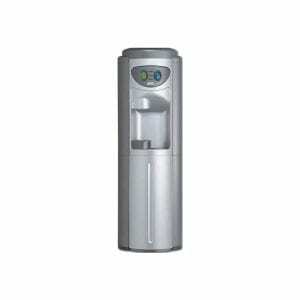 This huge 3.2 litre capacity water cooler is ideal for offices enviroments with up to 40 members of staff and reception areas. 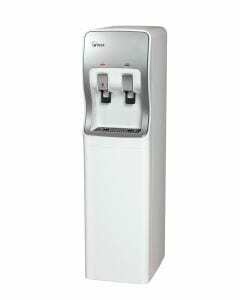 The 3 series water cooler is a compact and stylish unit which is economical, attractive and robust.This water dispenser is made by Winix, they are leading manufacturers of water coolers that provide some of the best water solutions available. 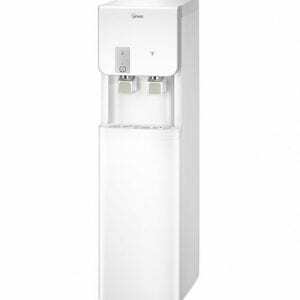 The 3D water dispenser not only works without a fault but also looks the part, it's stylish white and silver design will fit with most customer facing areas.